This solid 14k. 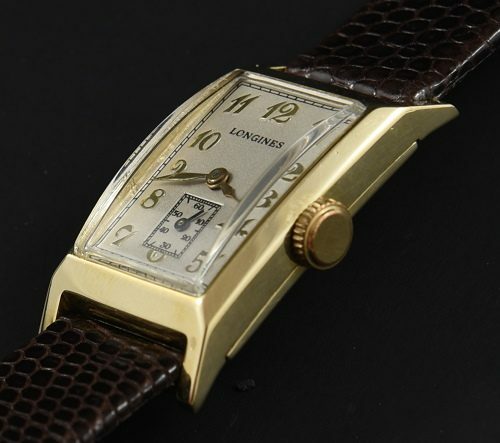 yellow gold Longines measures 20x36mm. 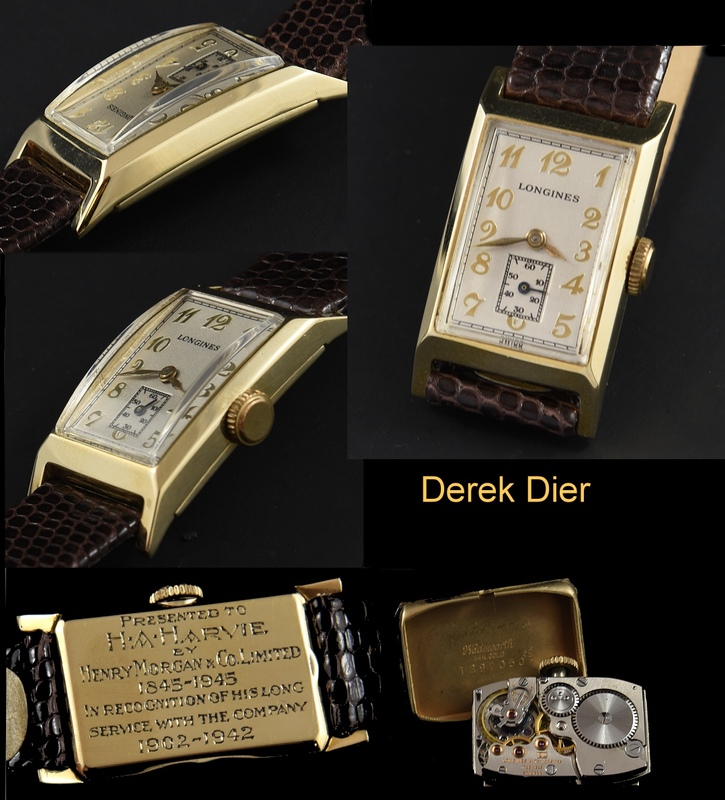 and is housed in a rectangular case with the dial expertly restored while retaining the raised gold Breguet numerals and original hands. The fine 9L manual winding movement was just cleaned and is accurate. The entire watch looks excellent overall. I love the nostalgic inscription. This is the epitome of that “classic” vintage watch.